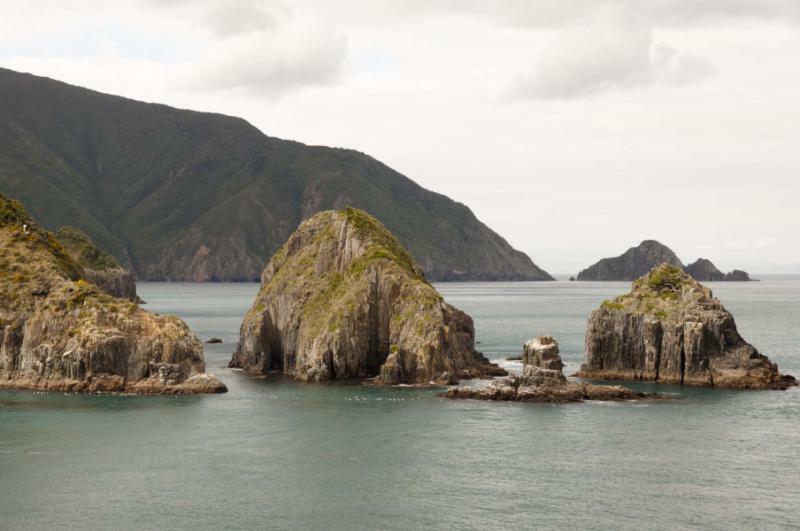 On New Zealand’s South Island, the adventure is safe yet wild once your kids have turned seven or eight. Think swimming with dolphins, exploring mountains, cycling and kayaking, a 3D maze and an Antarctic simulation. 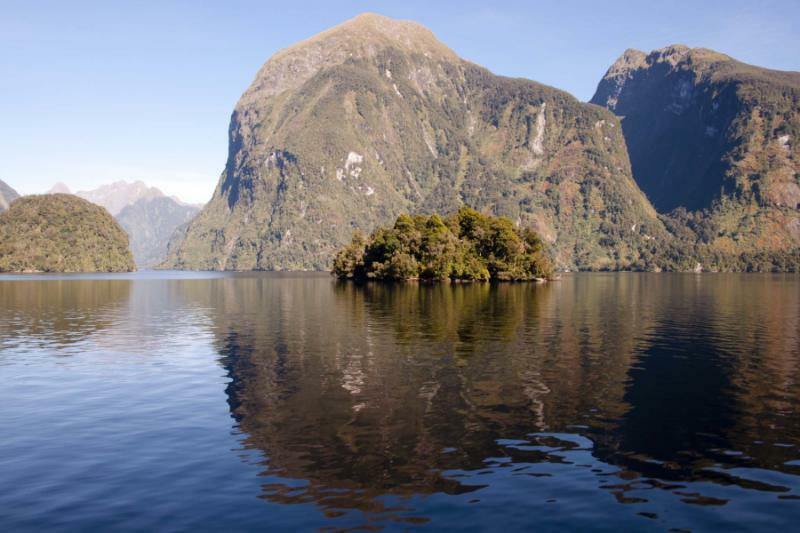 Including adventures like an explorer’s expedition to Doubtful Sound, this family tour provides active days and relaxed evenings. The two weeks are spread across three destinations, so travel calmly and find excitement for all. For additional New Zealand travel inspiration, consider browsing the other New Zealand South Island vacation packages offered on Zicasso. 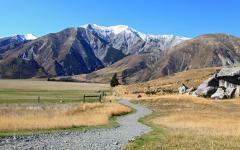 New Zealand has been a world pioneer in making adventurous activities safe and accessible. The South Island is defined by the great outdoors and there is endless wilderness to play around in. It is a land where you can feel like explorers and give your children the opportunity to try thrilling activities in nature. If your children have grown taller than 1meter and 10 centimeters, then they will be able to participate in nearly everything. This is an island of vast national parks and endless panoramas. 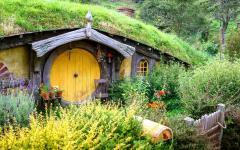 While the North Island does have Hobbiton, it is the South Island that can really get children excited. You will take a tour of different Lord of the Rings filming locations, dressing up with capes and swords for some authentic photos. You can swim with wild dolphins in a sheltered harbor, tackle the world’s first 3D maze, go cycling through vineyards, kayak along the coast, take a thrilling speedboat ride down a glacial river, explore the mountains, cruise through the valleys (sounds) and fjords, and even go to Antarctica for the day with a simulation in the International Antarctic Centre. Every day will bring something different, and the kids will never be bored. There is a good chance they will be fast asleep immediately following dinner each evening. These daily adventures are not just for kids. With such breathtaking surroundings and new ways to explore, the South Island is just as appealing for adults as it is for kids. However, having so many active days requires a laid-back itinerary. Rather than long days on the road and continually changing hotels, there are only three overnight destinations on this tour. 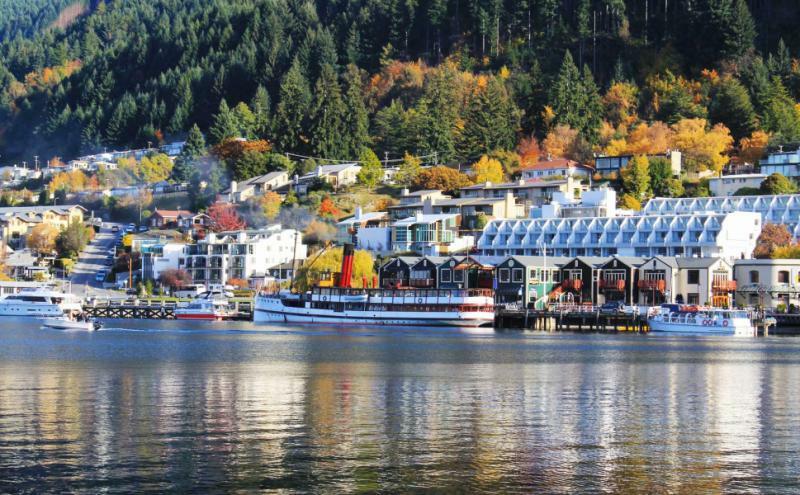 You will spend the first week in Queenstown, which is a charming town that is immersed in wilderness, and this includes a night on Doubtful Sound. Then, you will fly to Blenheim for a mix of coastal and vineyard adventures. You will then travel to Christchurch and end with three days in a remarkable city. Here, you will have the opportunity to really slow down after all the outdoor adventures, and experience another side of the country. This is a handcrafted itinerary, and it can be adjusted further to the ages and interests of you and your children. 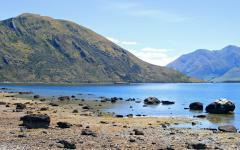 For example, on day six you will take an explorer’s journey across Lake Manapouri and Wilmot Pass. Then you will take an overnight cruise along Doubtful Sound. 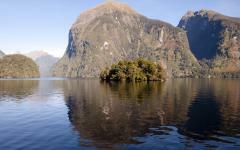 This can be switched for Milford Sound or a single day activity that you prefer. 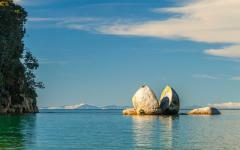 In Blenheim, there is the more adventurous option of going kayaking out in Abel Tasman National Park. Some of the tours are private so they can easily be adjusted on the day while others are scheduled and are less easily adjusted. With so much to do, two weeks in New Zealand will fly by. Queenstown, Blenheim and Christchurch have an excellent range of restaurants along with an easy-going atmosphere that are ideal for a family vacation. 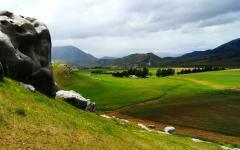 Interested in learning more by seeing some of our travelers’ New Zealand vacation tour reviews? Click here for more. 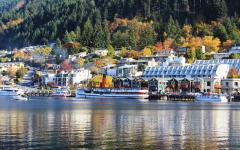 Queenstown is small and relaxed town that is located beneath the mountains and along the lakeshore. The scenery is majestic, and it is quick to inspire with slithers of snow reflecting in the soft blue waters of Lake Wakatipu. A small-town harbor will have restaurants and a European-style square while the main town will be a block of four horizontal and vertical streets. You will not need a vehicle to get around, and it is very safe at all times of the day and night. Your hotel is located just off the water and will be your base for the next week. 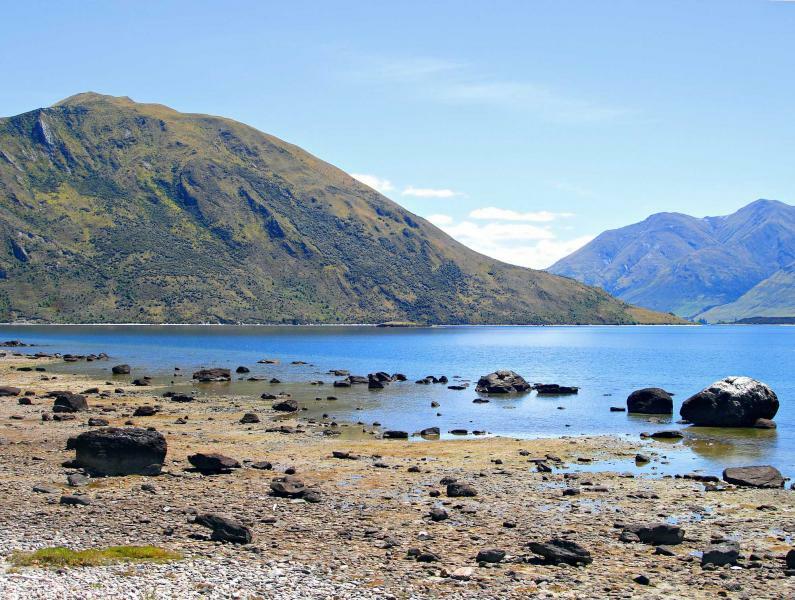 You will check in after the airport transfer and get your bearings in Queenstown. 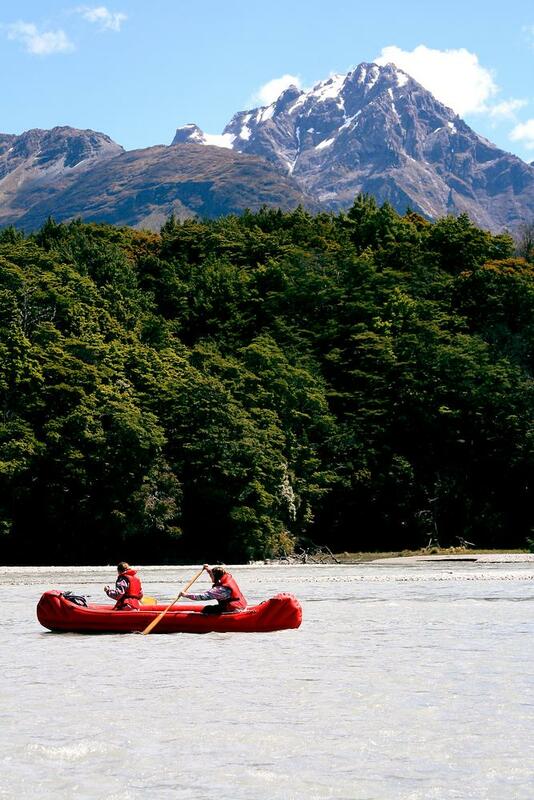 Today you will be zooming in a family river trip down Shotover River. While this may sound intense for young children, this adventure activity is extremely safe and was even visited by Queen Elizabeth II not too long ago. Rushing down Shotover River will certainly get your blood flowing, and it is a good introduction for showing the kids all the fun that can be had in New Zealand. Onsen hot pools are nearby, providing a much needed hour of rest after the river ride. These two activities can be done at any time today, so you can plan the day based on how the jet lag affects you all. Transfers to and from the hotel will be included. Standing in Gladden Fields you will relive the loss of the ring. In Kawarau Gorge, you will look upon Argonath, which is the location of the Valley of the Kings in the movie. Gazing down from a hilly summit you can see Rohan and the place where the Ambush of the Wargs was filmed. 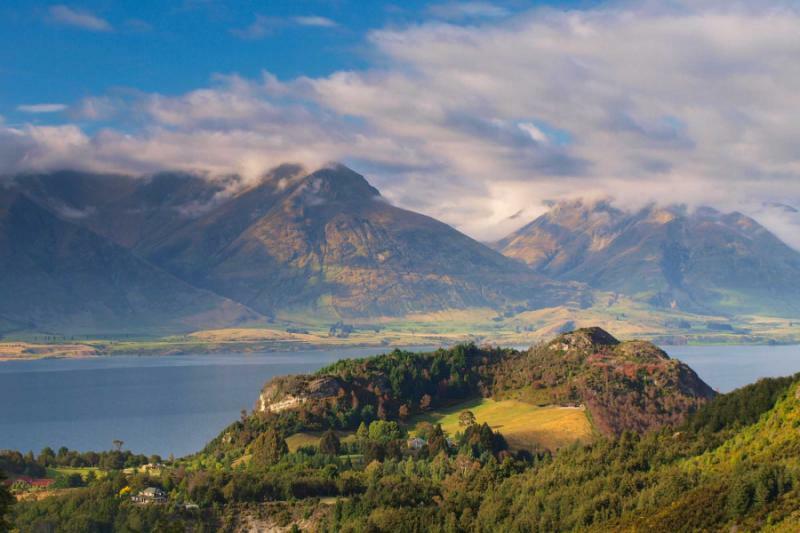 More Lord of the Rings filming locations are scattered through the area, and the guide will tell stories of Queenstown locals appearing as extras on horseback. 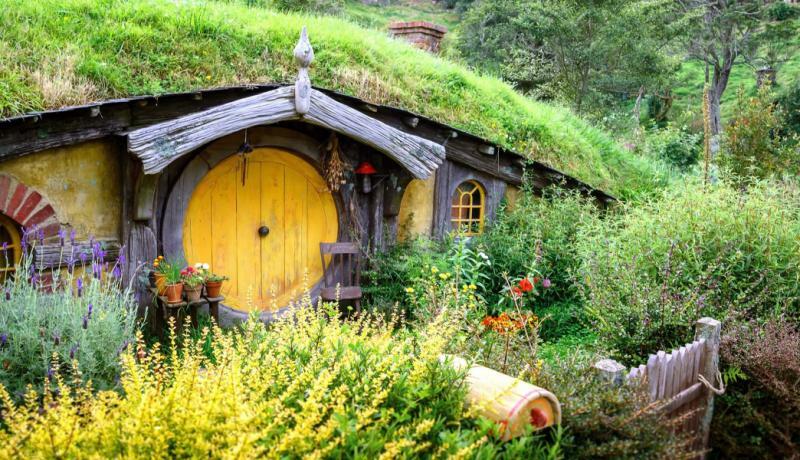 This private adventure will culminate in your family donning cloaks and swords as you pose for photos that could have come straight from The Hobbit. The rest of the day will be at your leisure. 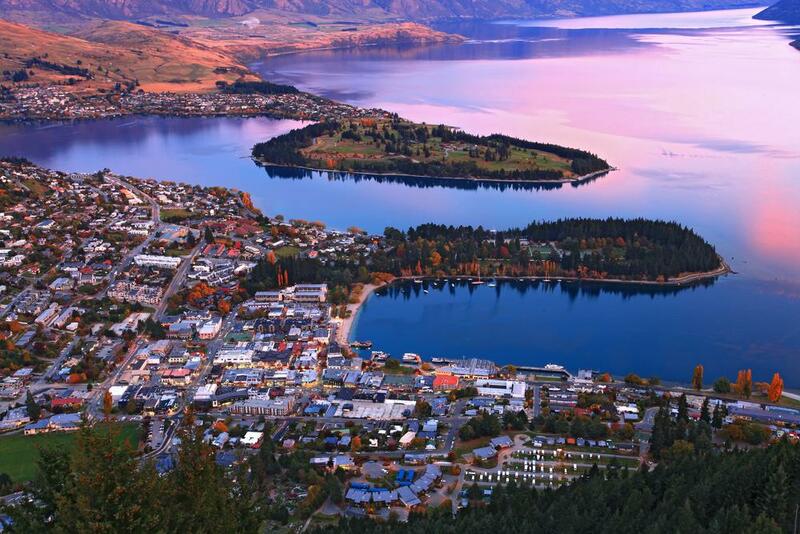 Today, you will rise above Queenstown by gondola and gaze out across the lake. As John Travolta said of this journey in 1999, “when I saw those vistas I though this is where God lives.” The Remarkables mountains create a panorama and the lakes will reflect the mirrored image. Up here, you can try a form of family karting. Many kids will complete their allotted five laps and want to keep going forever. Many easy hiking trails head off from here and will be easy to work into your day’s itinerary. Another option is to walk down to Queenstown rather than to take the gondola. If you are the adventurous type, you can zipline and walk all the way back into town or choose some of New Zealand’s best downhill mountain biking. Today, you will enter the world’s first 3-D maze. It is all deliberately weird and wonderful, such as impossible stairs, puzzling toilets, weird proportions, and holograms. The main attraction is a maze that unfolds on many levels. It is very easy to get lost here, and it can keep you entertained for at least an hour, though there are many emergency exits if you give up on finding the central courtyard. After Puzzling World, you will be taken to a quiet world, where you will relax on the beach at Lake Wanaka. You will leave most of your luggage at the hotel as you leave Queenstown for the day. You will be on an expedition, and it will really feel like an adventure into the unknown. You will cross the water in a small boat, feeling modern civilization slipping into the background, and then you will disembark and cross a headland, bumping up to Wilmot Pass. From here, you will gaze out at the fjords, which create a landscape of natural drama that will be your home for the night. You will travel back down the mountain before boarding a small cruise ship. You will check into interconnected cabins and take lunch in the restaurant. Soon you will be enveloped by the fjord. Waterfalls will gush out from stark rock, and cliffs will rise to seemingly endless heights. While Milford is the most famous fjord, Doubtful is the most impressive, especially when considering the adventure that it will take to get out here. This afternoon there will be an opportunity to go kayaking in the fjord or to ride along the coast in a small boat. You will be spending the night on board the boat, and there will be a lovely feeling of tranquility after the day’s escapades. Today, you will wake up in nature and look around. The cliffs are majestic as they soar to nearly half a mile above you. The boat will look small in such surroundings, and even the dolphins and waterfalls will appear in miniature. This morning will be a lot like yesterday afternoon, with a mix of cruising around the fjord and your choice of a kayak or small boat excursion. After lunch you will disembark and make the beautiful return journey to civilization. This evening will likely to be a quiet. You will have an early flight north to Blenheim, where you will swap New Zealand’s adventure capital with its most famous wine region. 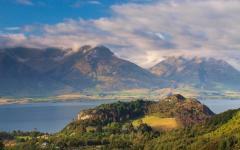 You will be staying in Blenheim, and you will quickly discover that it is not just wine here. Trails run off in all directions, providing a great opportunity for walking and cycling. The coast is just ten minutes away, and the town has a grand selection of shops and cafés. After a week that is mostly focused on activities for the kids, you will take a look around some of the vineyards and settle into a more tranquil style of vacation. 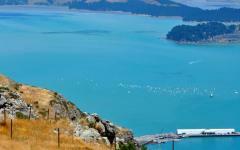 Today, you will be going on a half-day cruise through the Marlborough Sounds.. Various dolphin and seal species can be seen here, with fins rising above the surface as seabirds dive dramatically into the water. Sometimes the birds will emerge with silver slivers of fish, and other times they will seem to come up exhausted, barely able to shake the water from their wings. After lunch on the boat, the afternoon will be free, and the area is superb for hiking. All of these will offer breathtaking views of the sounds for all of you to enjoy. Today will be left free, and there will be a number of activities that can bring your family together. 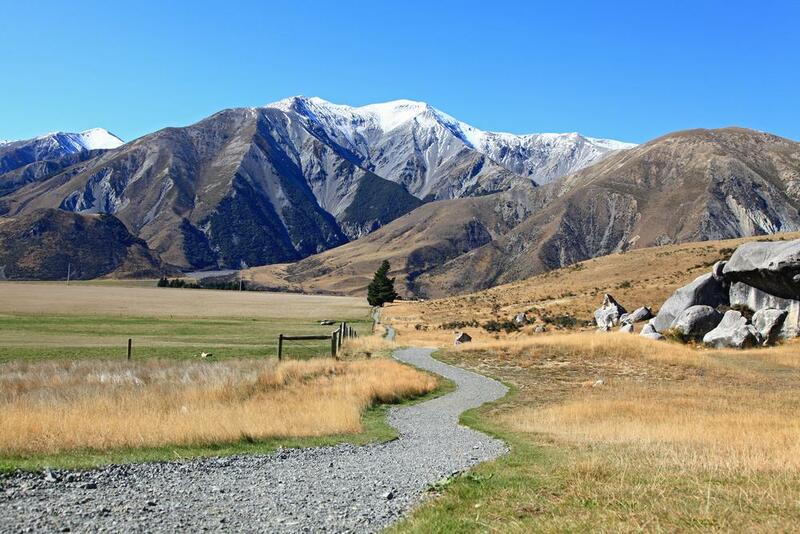 New Zealand is for all ages, and there is a stunning network of trails, so you can easily find a cycle or walking route that suits you and your family. Marlborough is bucolic, and as you cycle around, you can stop at vineyards for tasting, including fizzy grape juice for the kids, and lunch. 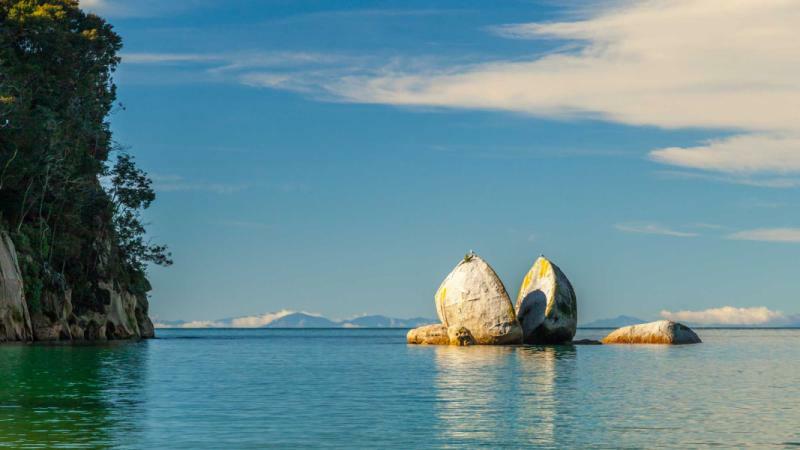 A more adventurous option for today is a trip to Abel Tasman National Park, where it is possible to kayak to small coves and empty tropical beaches. Out here you will find Manta rays and turtles that will be clearly visible from a kayak. It is not a good choice for younger children, but ideal if you have active teenagers. 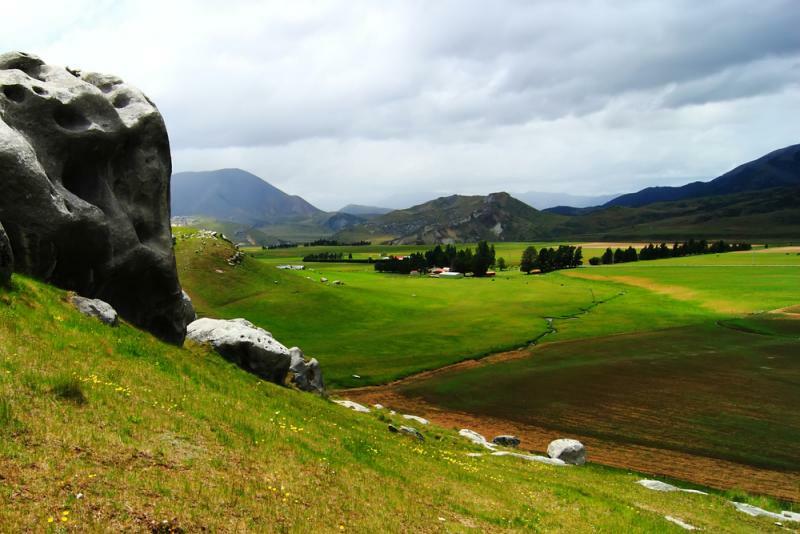 You will fly to Christchurch, where you will have an educational day exploring the aftermath of the 2011 earthquake. Much of the city was destroyed by the 2011 earthquake and you can still see great piles of rubble and broken down buildings. As you walk the streets with your local guide, you will see how well the city is rebuilding itself, using art and innovative design to craft something beautiful from the ashes. Christchurch has become a symbol of both nature’s power and mankind’s determination to grow. After a relaxed, half-day tour, the evening will be at your leisure, and you will find the high quality of Christchurch’s restaurants was not affected by the earthquake. Most people think of dolphins as big things, however, Hector’s Dolphins are more childlike in size. They are the world’s rarest and smallest oceanic dolphin, and you can swim with them. 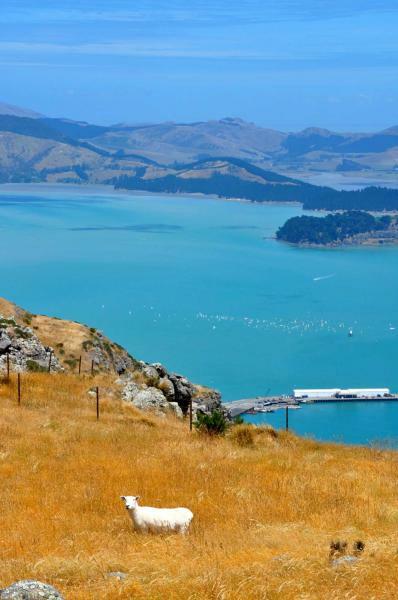 It is an 80-minute drive out to Akaroa Harbour, and soon you will be jumping into the water barely ten meters from these oceanic wonders. Some may even jump from the water before your eyes. Through the mask, you will watch how they corkscrew to ridiculous depths before rising back to the surface. Perhaps, the most impressive aspect of the dolphins are the sounds that they make. With your head in the water, you can hear all the communicative tweets, which will prove to be an experience that resonates with you for the rest of your life. This final day will mostly be left free. So, pack up your things, do some souvenir shopping, and reflect on the journey that has been before it is time to head home. Today, you will be going to Antarctica, or the interpretation center. Inside the center you will explore simulation rooms, seeing what it is actually like to be at the South Pole. For a brief moment, it will be windy and freezing cold. Then, you will step back out and it will be warm. Children usually love all the simulation rooms, and the center also has an educational purpose as it explains the continent in terms of challenges, human history, wildlife, and expeditions. After breakfast you will be transferred to the international airport for your outbound flight.